The Hit House has released a new album of sound design, dubbed “Framework Layer Two,” building upon a series they began last year. “Framework Layer Two” offers a collection of original hits, rises, whooshes, signature sounds and stutters, designed from scratch, using original field recordings, written by The Hit House’s four-time Emmy Award nominated sound designer, Chad Hughes. “My passion has long been in the creation of new and interesting sounds for motion picture. 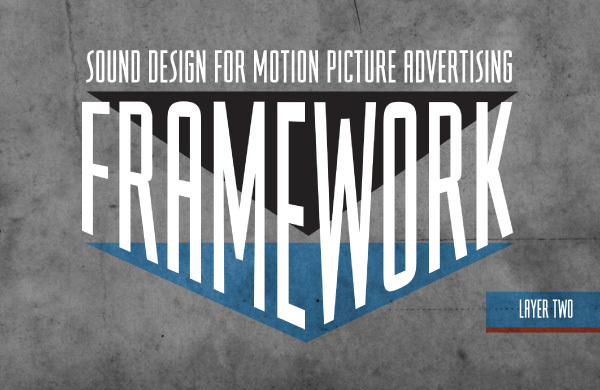 Our FRAMEWORK series helps those who promote and market major motion pictures tell stories through the use of sound. Hundreds of hours of recording and designing go into the production of each entry within the FRAMEWORK series. For me, the most rewarding part of the process is hearing the various layers and processing the dynamic impact of these sounds together,” said Hughes. Hughes, whose work is featured on the hit TV show “Gotham,” has created these one-of-a-kind sounds exclusively for The Hit House.